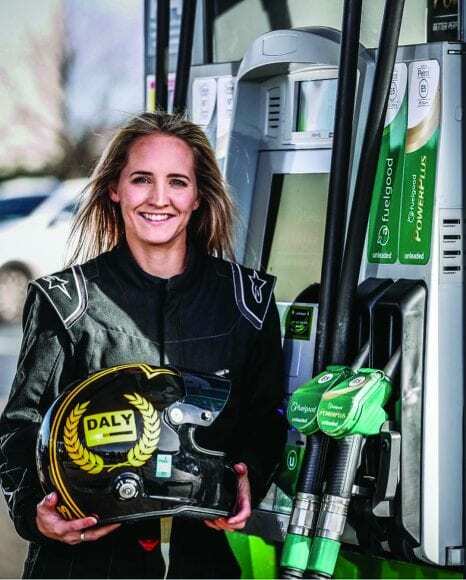 Working with Ireland’s top female racing driver Nicole Drought, Daly – a former Dublin footballer during her time with Ballyboden Wanderers – has challenged 14 celebrities from across the sporting spectrum to get behind the wheel of a BMW M2 in a Top Gear-style and record their fastest lap. Confirmed taking part are Annalise Murphy, Katie Walsh, Valerie Mulcahy, Ashling Thompson, Lindsay Peat, Aine O’Gorman, Ellen Keane, Gemma Begley and Orla Walsh alongside fellow hockey stars Lena Tice and Gillian Pinder as well as RTE’s Jacqui Hurley, Marie Crowe and Elaine Buckley. For Daly, it is part of her 20×20 pledge to promote one of her twin passions. Growing up, she spent most of her weekends around the paddock at Mondello Park with her father Vivion and uncle Derek key figures on the Irish motorsport scene. At the time, there was little to no avenue for young girls like her to pursue the sport, something that Daly is keen to change. Through her Formula Female project, she is already working to provide support for Drought at the top end but is also devoted to offering youngsters a leg up. Formula Female has already taken Holly Dunnion (10) from Meath and Jemma Barrett (11) from Tyrone under its wing to try and aid their progression. The one-lap challenge, meanwhile, is centrally about trying to get more visibility out there for more girls with young fans invited to come along and watch on April 16 when the majority with record their lap times. It will also include a meet and greet event from 12-1pm. “The 20×20 tagline ‘if you can’t see it, you can’t be it’ could not be more true for motorsport,” she said. “Not just females but the sport in general – there is not a huge amount of visibility in Ireland. “We have some major role models in the country and I thought this was a great way to get visibility for the sport. When 20×20 on international women’s day called for a pledge to “show your stripes”, I thought this would be the perfect pledge. Once the challenge was set, Daly says there was little trouble getting people on board. “That was the easiest part! They all said it was something they would absolutely love to do! They will drive a pretty nice car, a BMW M2 with 410 brake horse power. As for who is likely to be favourite, there are Gillian Pinder does not like to go beyond fourth gear but Daly already has a few ones to watch. “The trash-talk has already been competitive! I reckon Annalise and Ashling are the ones to watch. Annalise says one of her favourite things to do is go-karting. The majority of the sport stars will record their lap times on April 16 with a meet and greet event from 12-1pm. 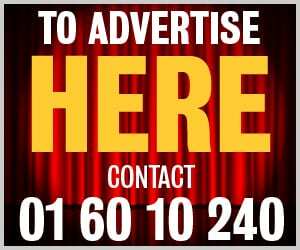 Tickets are free but must be booked in advance via 045 860 200.